Pre-designed diet regimes do not suit everybody. 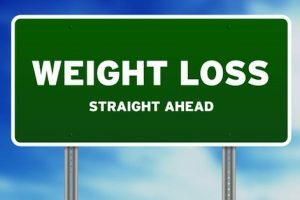 In addition, not every diet circulating in the market is healthy or returns weight loss results. 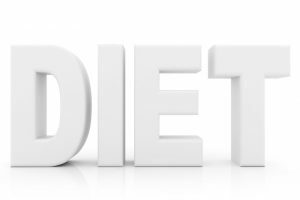 Understandably many people just want to follow a simple healthy balanced diet which will help them lose weight. This is what most experts profess anyway, as the right way forward. At the same time most people don’t know where to start. What is healthy, how do you go about it, what is balanced and how much are you meant to be eating to lose weight? 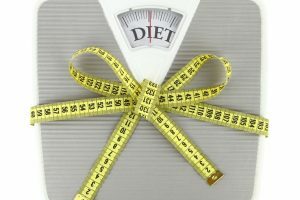 All these are common questions people ask and in this article I will try to provide some tips on how to prepare a healthy weight loss plan. A weight loss plan is not just about food but all the other steps you need to make to set up. These steps can help you with any weight loss regime you may want to do. 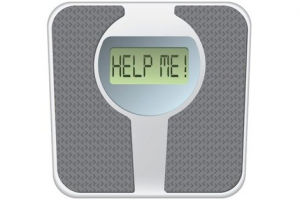 First: Weigh yourself and decide how much weight you need or want to lose. 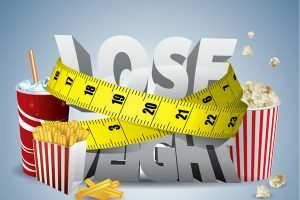 This way you can plan on how long it will take you to lose the weight, how many calories should you be eating and most of all you can have a clear goal of what you want to achieve. For your weight loss is always recommended not to exceed 1 – 1.5 kg per week. Second: Keep a foods and drinks diary for a week. I have mentioned the importance and role of food diaries in a number of previous articles such as ‘How to control your desire for food’ and ‘Weight loss: An introduction to a healthier life style’. What, when and why you eat what you eat can play a role in how you plan your meals and your weight loss plan. Third: Make a list of the reasons why you want to lose weight and what it means to you. Also make a list of coping strategies for the times you may struggle. Use the lists to remind yourself why you are following a healthy weight loss plan in the times you want to give up or give in to that pizza. Before you attack the super market for food shopping you should have an idea of what ‘healthy’ is. This part could be the most complicated. There is a plethora of foods which do claim to be a ‘healthier’ option however the reality may be different. For example a lot of oily sprays which derive from vegetable oils and margarines may advertise that they are healthier as they contain less saturated fats. However, they tend to contain a high amount of trans fats which may be more harmful. 1. Do some research on which foods are best to avoid. There is a lot of information available. You don’t have to study for a PhD in Nutrition or spend hours on the internet. Make a small list with some basic foods, containing for example trans fats, soy and processed foods and try to avoid including them in your shopping list. 2. Stick with simple and natural foods but do have a variety. Include foods from all 3 categories, which are proteins, carbohydrates and fats. In simple words include meats, vegetables, and fruits. When it comes to more processed carbohydrates such as pasta and bread aim for wholemeal and less refined options. Aim for ‘good’ fats such as the Omega fats and avoid trans fats. 3. Do try to avoid sugars as much as you can. It is quite well known that the cookies, cakes, and sweets don’t help with losing weight. But apart from the obvious sweets can you cut down on the sugar you add in your coffee, or the sugary drinks and fruit juices you drink? You will be pleasantly surprised how many calories and sugars you can avoid consuming in a day. If you have to have a drink or have to have a sweet try to replace them with healthier and less calorific options. For example have a green tea or a fruit tea (no sugar) instead of a fruit juice, or have a fruit instead of a cookie or even a spoonful of yogurt with a tiny amount of honey instead of a cake. 4. Replace and don’t exclude. Healthy food doesn’t have to be rabbit bland food. As I have already mentioned apart from some exceptions, a healthy weight loss plan is not about restricting yourself with food. It is important to have variety of nutrients. So when you plan your diet replace those foods which may be harmful or calorific. Replace vegetable oils and margarines with olive oil, a cereal bar with a fruit, chips with mash potatoes or even better with a big salad, fruit juice with fruit tea (no sugar), mayonnaise with vinaigrette and so on. 5. On that same note replace the ways by which you cook food. It is not just the ingredients that make a meal healthy or calorific but the preparation of them as well. For example don’t fry the food but grill or roast it, don’t add loads of vegetable oil but only a tablespoon of olive oil and so on. You can find loads of fun, tasty recipes which include healthier cooking options and fresh ingredients. Make a collection of recipes or cooking ideas beforehand so if you are stuck for ideas or not sure how to do it you can use them. 6. Know your maths and calories. Calories are not the end to all means in a weight loss plan; nevertheless, if you only need 2000 kcal per day and consume 3000 kcal of salad you will still put weight on. In addition you are likely to have some serious wind issues. Don’t get obsessed with calorie counting but have an idea how many calories each meal worth. On average women require 1500 – 2000 kcal per day and men require 2000 – 2500 kcal per day. In simple math’s terms 1lb of fat translates to 3500kcal. So in order to lose 1lb of fat per week you need to eat 500kcal less than you need. You can find charts which calculate the basal metabolic rate (amount of calories used just to be alive) and charts which calculate calories according to different activities. All these charts will not give 100% accurate calculations but you can use them as a guide. 7. Read the labels. It is always good to have a look at the labels of the food you buy. Look for sugar, carbohydrate and salt content. It is very rarely that trans fat content is actually included in the labels, however, avoid a product if it contains hydrogenated oils or cooked in hydrogenated/ vegetable oils. You don’t have to become obsessed, but is worth check what you eat. As I mentioned earlier a lot of ‘healthy’ products may actually have more risks for health than the benefits they may provide. Moreover, food can have an accumulative effect. What that means is that the 2 grams of sugar in a sandwich may not tip the scale. However, by the time you add all the things you have consumed in a day the result may be high amounts of sugars, salt etc. 8. Exercise. Last but not least, include exercise in your weight loss plan. The benefits of exercise are not just limited to increasing weight loss but extend in most areas of life. But to keep it to the point, what can exercise do for your healthy weight loss plan apart from being healthy? Exercise helps with increasing the amount of calories you burn not only while you exercise but also when you are resting. The more muscle you have the more your metabolic rate increases. Well that doesn’t mean that you have to kill yourself in the gym. In any way you can increase your physical activity will help. In addition, with exercise you do get fitter and you behind does look better in that dress. 9. Do consult the appropriate medical and/or fitness professionals before making changes to your diet and/or physical activity especially if you have any pre-existing health complaints or concerns. The above are only some suggestions and you should only follow what suits your individual needs.